HomeManiacal Egos are So Full of it. Maniacal Egos are So Full of it. I like to wait before I move to make a rather in depth statement about an issue. My mind needs time to process AND to calm a bit. I like to find peace before I write. That way when I do write I can stand by what I write and not need to defend a rash tantrum. I am certain there has been quite a bit of griping around Blog Life regarding the behavior of one Kanye West who will be referred to as KW moving forward. No, that is not short for Kid Wino, or Kook Whiner, or Kid Weenie. I did write a Haiku yesterday about his behavior, Dweebzus. Some of you may recall KW had an album called Yeezus. “Nuff said ’bout dat. I will just say it plain. I have no respect for KW in any aspect whatsoever. KW decided he would take the stage when Beck won album of the year instead of Beyonce. Well he didn’t take the mic and complain this time. He did complain later to E! and even complained about E! having E! on their mics during the interview. KW seems to think there is only one type of music that is worthy. Whoever he is friends with. No other artist is good. He looks at sales to determine if one album is better than another. I suppose if One Direction beats KW on the charts that means they are better than he is? What if Prince had won the award or Pharrell? Would he have reacted the same? He complained about he’s never beat a white artist in all the Grammy awards he has won. So does that mean in the categories he won in there were no white people nominated? Perhaps there is something that should be said about that? Do I dare say that? Would I be deemed something I am not by even thinking that? Just so you know, I’m good with myself. I know I’m not racist or a bigot or anything else negative like that. Just ask around. I may even think you’re an idiot but I am not going to hold that against you as far as if I like you or not. Although I do have a problem with stupidity. I really do. People that are just plain stupid get on my nerves. You know, I don’t care what your skin tone is. If you are good you are good. And there is a difference between an album that is something that brings something to the table and something that simply hits the charts. KW is a self important tick on the music world and gives those around him a bad name. Jay-Z actually was shaking his head no at KW as he went to the stage. Maybe that’s what stopped the guy. You may be Yeezus in your mind but Jay-Z is the head of the Hip Hop Illuminati, or so the honesty world of the internet would have you believe. Oh, I forgot, that’s the same internet that shows numbers of sales that said Beyonce should have beat Beck. You ever notice how Jay-Z doesn’t seem to care about awards? His bank account rocks. He knows what really matters. By even reacting to the award outcomes you give them validation. Sam Smith won because he ripped off Tom Petty. Ed Sheeran should have one. He has more talent than Smith ever will. No joke with this next part either, but does Sam Smith look like he could be Boy George’s son? Here is why Ed should have won. I rambled a bit today. I do at times. 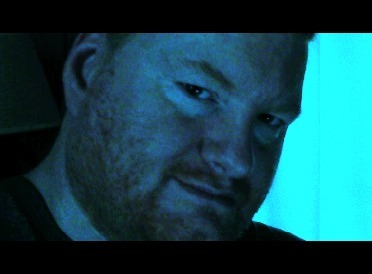 I hope you like my new blue phase photo. The Grammys sound an awful lot like Second Life gaming…maybe that’s what it is. He looks at numbers instead of actual merit–he’s playing numbers game. And Beck is the real deal…I bet alot of people hate him for that. I do think he makes a few enemies along the way as he does things like this. I have heard some of his work at times and he is good but moments like this really keeps him from reaching an even larger audience. I missed watching it, love Ed Sheeran! They should start banning KW from going. I don’t watch a lot of TV. Martha watched the Grammys, I didn’t. But I read about Kanye. I agree with your assessment. And I love the song you played. I want to say I wrote a lyric poem based on this song. Not certain which one. I write so many. Poetry reading here in my future. RON, VERY WELL SAID . . . YOU SPEAK FOR MILLIONS! New to your blog here, so I’m picking over some posts here and getting myself acquainted! You had some really good points here! I’m not much on KW either..or his music. Looking forward to your next post and don’t worry about rambling.. we all do that too! At times.